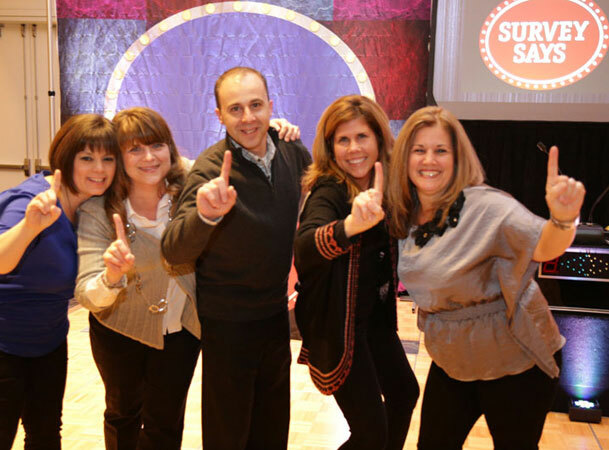 Corporate party game shows that impress! As the holiday party season approaches, you will need to start planning the details to make your event a success. We will use this section to provide you with some Holiday Party Tips and Ideas. The entertainment you hire can make or break the holiday party. The first question you should ask some of the staff members who will attend the party, is “what do you want out of the entertainment”? Typically, most holiday parties in which we provide entertainment, begins with non-religious holiday background music during dinner or a buffet. If you are looking for a fresh change to this years party, consider adding one of our exciting game shows to bring it to life. The most popular game shows are in the style of Family Feud, Jeopardy or our Audience Response Trivia Keypads. This is a perfect activity for cocktail hour, or right after dinner. Most company holiday parties incorporate awards presentations after dinner, prior to dancing. Should these presentations drag on for long periods of time, it is not unusual for a significant number of the employees and their guests to leave the event at the conclusion of the awards presentation. We highly recommend that you set a time limit for speakers and/or awards to avoid this problem. – you will save a lot of time this way! After our game show is over, you may want us to provide a DJ to play dance music for the duration of the event. We highly recommend incorporating some sort of ice-breaker just prior to starting the dancing. Our game shows are effective in increasing the energy levels in the room, and our experience has shown that your guests will be more inclined to get out of their seats and dance, after a fun trivia game has been presented. 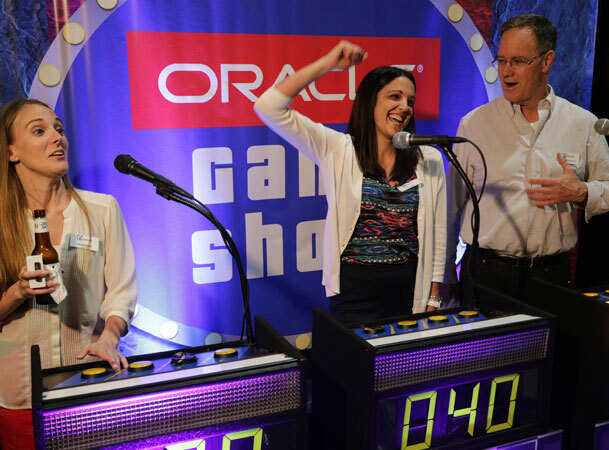 Our event planners can provide you with numerous game show ideas to choose from, that you feel will best suit your company’s personality. If you have prizes to give away, it is always a good idea to have prizes for the winning team. Prizes and giveaways offer incentive to your guests to participate in fun, interactive activities that get them involved and having a great time. While this is not a requirement, it does add to the fun! One popular idea that seems to work very well is to obtain childhood photos of some of your top managers and display them at the party. Number each photo, and provide a sheet of paper for the employees of the company to guess who the person is in each of the photo’s. This always provides the staff members with a fun activity, and is very well received. We are happy to incorporate your ideas, themes and suggestions for your holiday party. Call us if you would like to discuss any of the ideas we have provided – we will be happy to answer your questions!